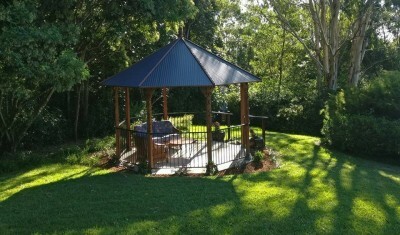 Our retreats commence from 2pm on the 1st, 2nd and 3rd Friday of most months and most Queensland long weekends. The retreats are also available for small groups of 6 - 8 to book anytime. 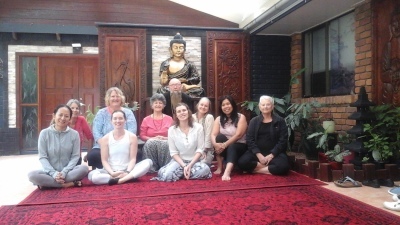 You are welcome to join a retreat program at no cost as scientific evidence has proven that Mindfulness Meditation can help you. The Zen Centre wishes to share this knowledge & practice with you. Our Zen Master understands the fear associated with cancer having gone through colon cancer surgery in 2016. Uluwatu and Kintamani rooms have a Suzie bedding arrangement (single bunk on top and a double bed underneath). The Ubud room has 2 single beds. Uluwatu & Ubud room share a bathroom with a separate toilet. Rama & Sita have one single bed and share a bathroom. A maximum of 2 guests per room during any retreat program. A maximum of one guest in each of the Rama & Sita rooms. The Kintamani Room has an ensuite bathroom. The Uluwatu and Ubud room share a large bathroom with twin vanities and a separate toilet. The Rama & Sita rooms share a bathroom. Share room program bookings may need to share the Suzie bedrooms with one other person unless you have paid the private room rate. Three people booking together can choose to book the Suzie bedrooms but please be aware of the bedding arrangements of 1 single + 1 double. Our room rates are the same every day of the week and every season of the year when Retreats are not running. 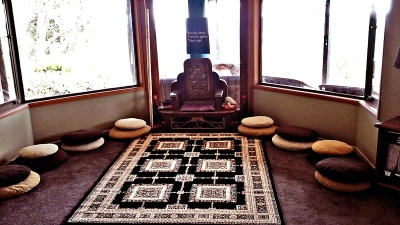 All B&B guests receive breakfast and can join us for our private practice of meditation at 8am and yoga at 4pm at no cost. If your room is not booked for the following night, check-out can be extended to 5pm at no cost with previous arrangement.